The Second Coming. Your partaking indulges thy Brain to spew Matter and Matter shall be Spewed! Climb in and chew on this chunk of Brain Matter and you too shall feel the healing properties locked within thy own head. Featuring bonus track,"Thumbs up to Johnny" Live at the RTK Arena. 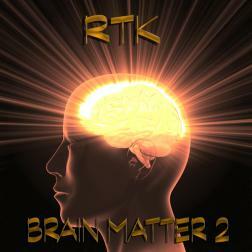 The brain is ugly, the brain is gray but inside the brain is a spiritual flame... ;) Great Album, RT!